If you value style and quality, look no further than this stunning sofa, an ideal spot for you and your loved ones to cuddle up and spend quality time together. 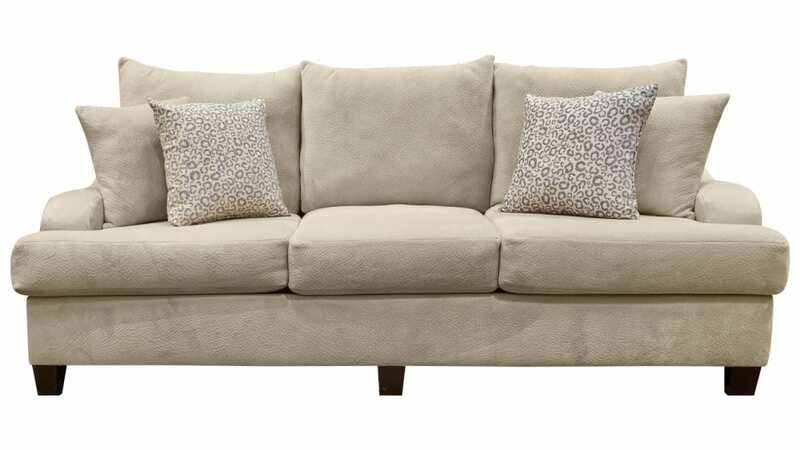 Creamy neutral upholstery offers versatile convenience, while soft microfiber provides optimal comfort. Made in America with a durable frame, this sofa will last you and your family for years to come. Trendy accent pillows round out this contemporary look, and you can find it at Gallery Furniture TODAY!